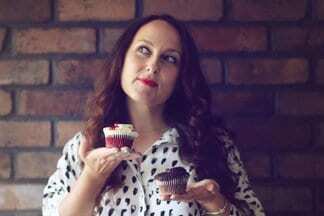 For this recipe, you will need: double cream, lemons and caster sugar. Last year my husband’s relatives came to visit from Australia. I nominated myself as host to a huge dinner party where I cooked a variety of curries and I also thought I could handle a couple of desserts too. We all know cooking one curry from scratch can be hard but several varieties plus two desserts could have proven to be a handful. Then I remembered the Lemon Posset recipe by Mary Berry and my dinner hostess prayers were answered. 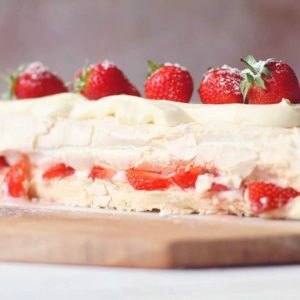 This is such an easy dessert, it can be prepared well in advance – in fact, making them the day before our dinner party and leaving them to develop in flavour was a really good call. 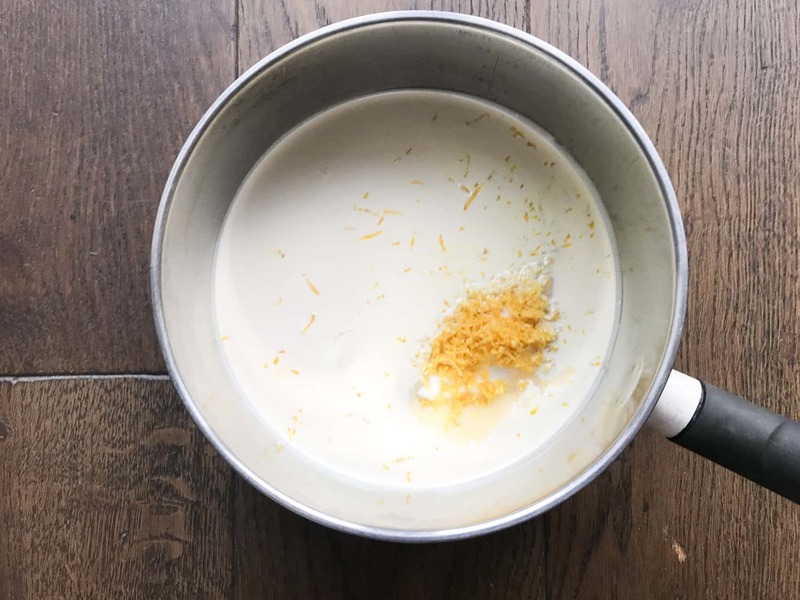 The zesty lemon possets packed even more flavour on the day they were served and my guests loved them. Phew! And there’s nothing better than a refreshing lemon dessert after a hot curry to cool everyone down a bit. Why are these lemon possets so good? 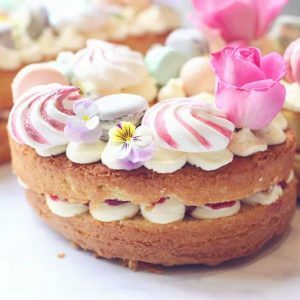 Mary Berry is a British institution! The queen of puddings and it’s always a delight following her recipes because they are just so easy. Mary was a host on one of my favourite TV shows: The Great British Bake-Off when it was on BBC 2. The show has since moved to Channel 4 and Mary is no longer a host which is a shame. I’ve got a couple of Mary’s cookery books and the recipes are so simple to recreate. 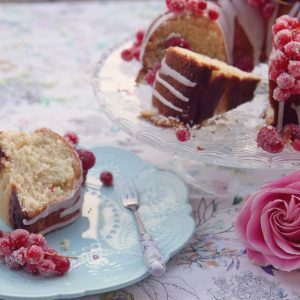 You can see an example by checking out my take on Mary Berry’s Classic Chocolate Roulade – another of my favourite bakes. Whenever I serve these lemon possets my guests are always amazed at how few ingredients they contain. They are unbelievably simple to make but the silky smooth tangy dessert is second to none. 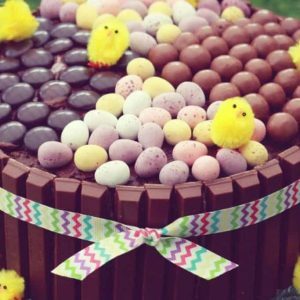 So, thank you to Mary for sharing this wonderfully simple irresistible dessert. 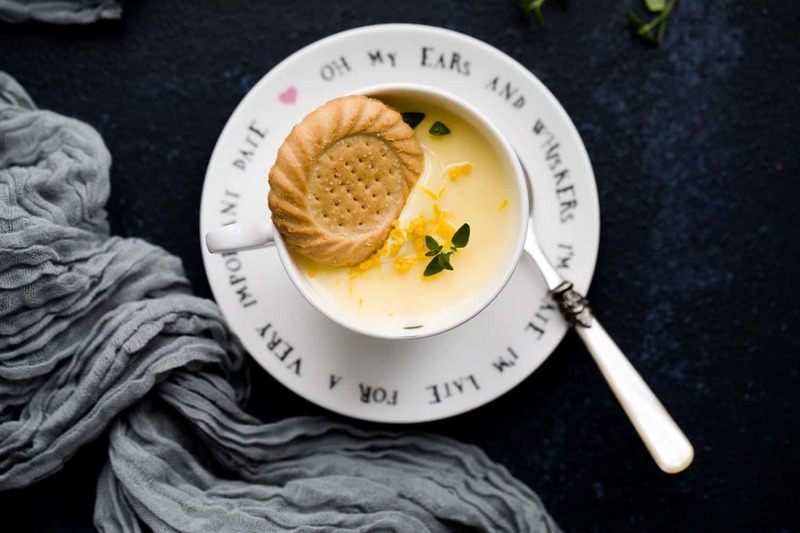 What is a lemon posset made from? Just double cream, lemon juice, lemon zest and caster sugar! A posset was originally a British drink made of hot curdled milk and then flavoured with wine, ale or spice. 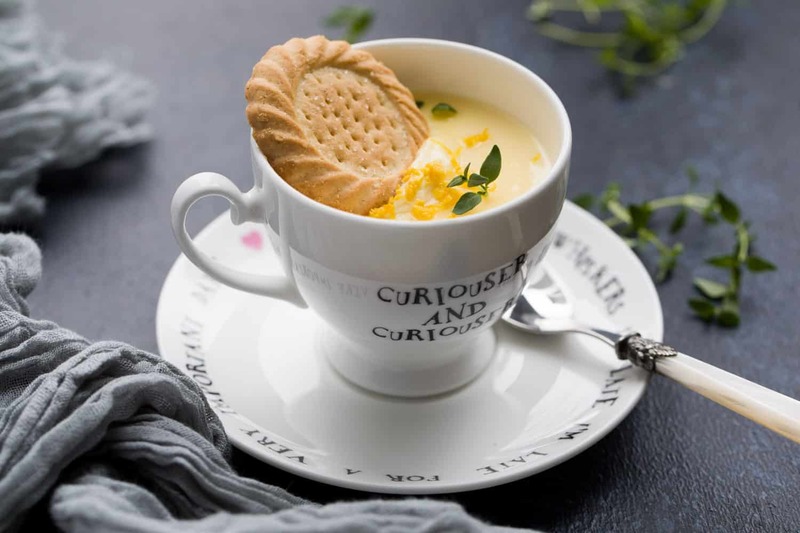 The lemon posset recipe we have today is a modern take on a historic British classic. Can I freeze lemon posset? 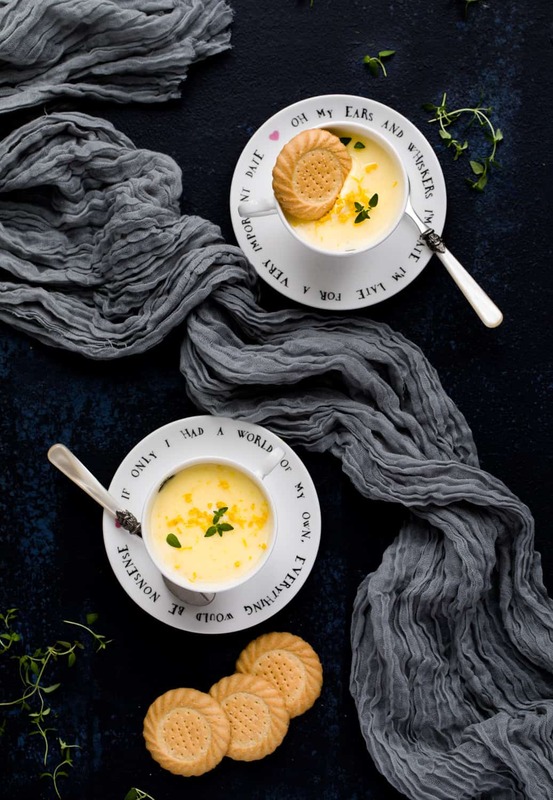 A lemon posset can be frozen and then defrosted in the fridge for a few hours before serving. What are the alternatives to lemon posset? If you’re not a lemon lover there are plenty of other ways to make deliciously creamy possets. What should I serve a lemon posset in? You can use champagne glasses, ramekins, small glass bowls, egg cups or a teacup and saucer just like I did. 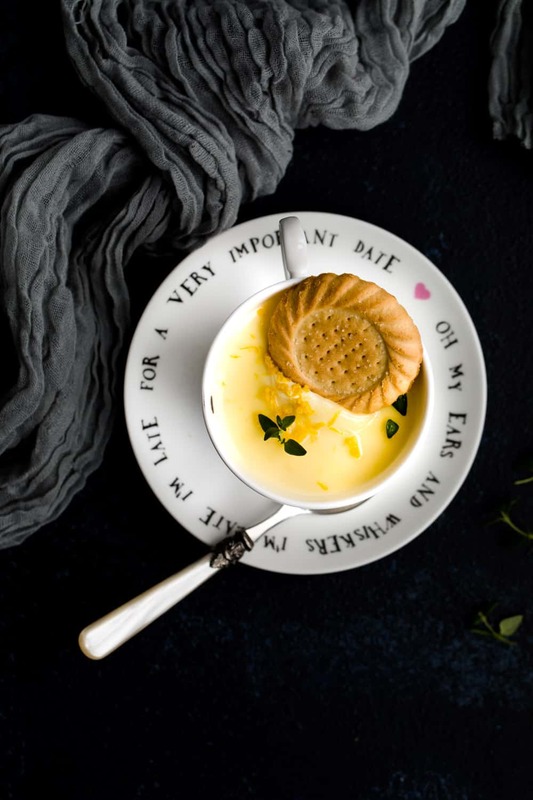 The lemon possets need to be served in small dishes because they are quite rich although they are delicious, you wouldn’t be able to get through a dessert bowl-full! Making lemon possets couldn’t be any easier. Follow the steps below for a perfect dessert. When you’re ready to serve – sprinkle over the remaining lemon zest and a couple of lemon thyme leaves if you’re feeling fancy! Bring the double cream, sugar and lemon zest to the boil then simmer for 3 minutes. 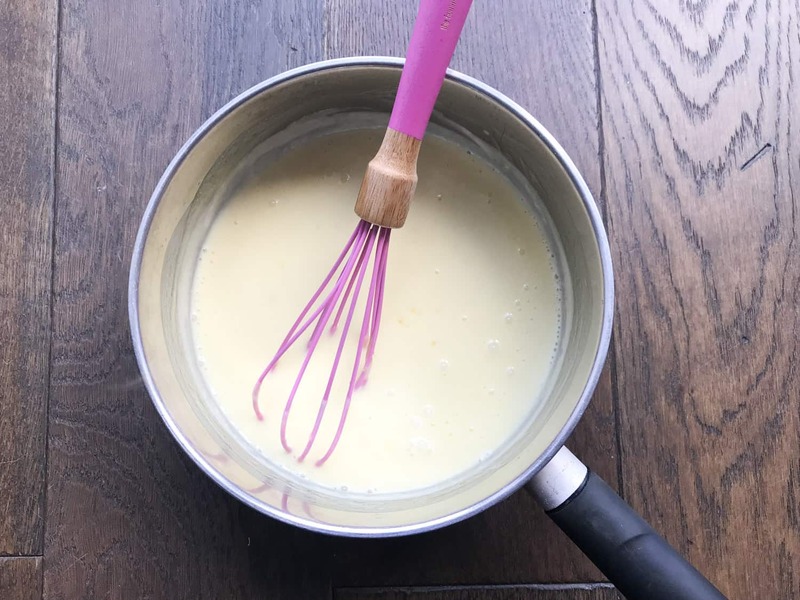 The mixture will begin to thicken and will change from cream colour to a pale yellow. Once the mixture has simmered, let it cool slightly then whisk in the lemon juice. Transfer to dishes and leave to set for 4 hours, or overnight in the fridge. Once refrigerated the lemon possets will be the texture of thick lemon curd. They are silky smooth, tart and utterly delicious. 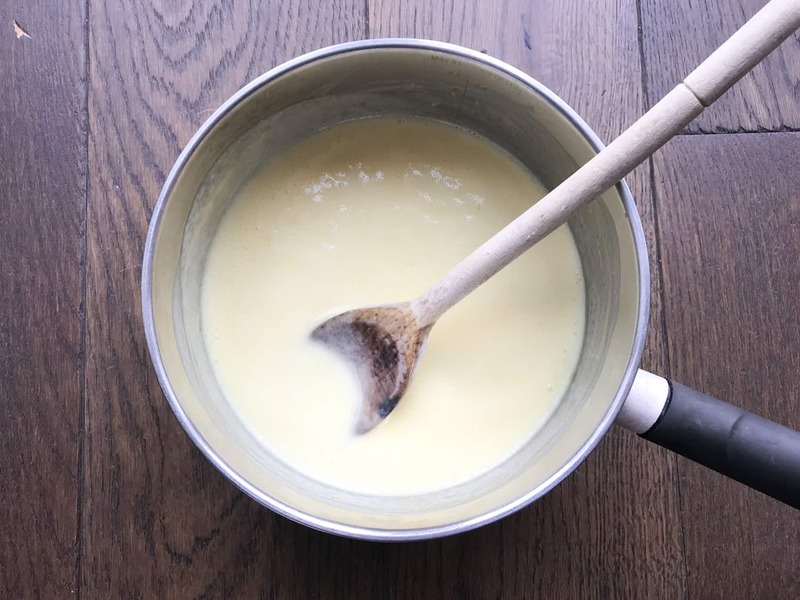 Mary Berry's classic lemon posset - a delicious, creamy and zesty dessert that's perfect to serve at a dinner party and easily made in advance. 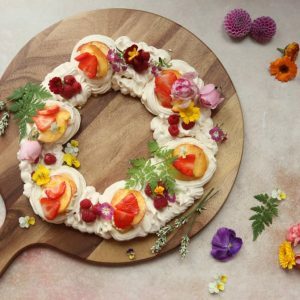 This dessert is so elegant but really packs a citrus punch. 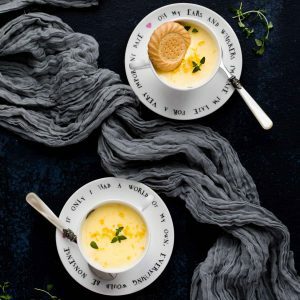 Lemon Possets contain only 3 ingredients! When you're ready to serve - sprinkle over the remaining lemon zest and a couple of lemon thyme leaves if you're feeling fancy! Lemon possets can be frozen. Defrost in the fridge for a few hours before serving.